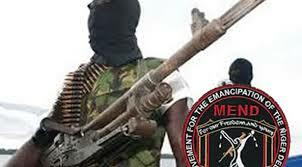 Leader of the defunct Movement for the Emancipation of the Niger-Delta (MEND), Government Ekpemupolo, aka Tompolo, yesterday, summoned commanders and leaders of the various wings of the militant group to an emergency meeting, tomorrow in Yenagoa, Bayelsa State. He did not state agenda of the meeting, but Tompolo, who is the Ibe-Ebidouwei of Ijaw nation, in the invitation, said the meeting, which will hold at Izon House, Yenagoa, was important. “The place of the Niger Delta in the administration of President Muhammadu Buhari and appraisal of the former President Goodluck Jonathan government in view of the current happenings in the country will be tabled for discussion at the meeting,” a source said. Tompolo and other ex-militant leaders officially disbanded MEND after they accepted amnesty offered them by the administration of former President Umaru Yar’Adua in 2009. Tomorrow’s meeting is the first time all the former commanders and leaders of the militant group are meeting formally since it was disbanded in 2009.